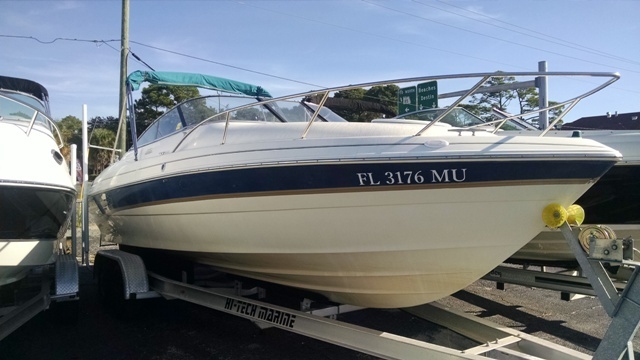 2000 Monterey 236 Montura, The 2000 Monteray 236 Montura is a great boat to go out and spend time with your family on. There is plenty of room on the boat to sit and layout in the sun. 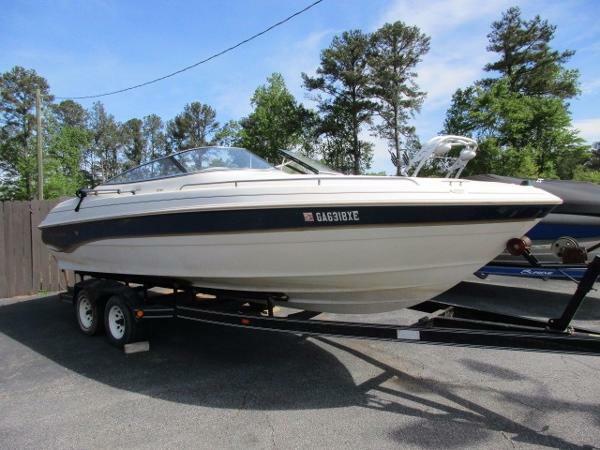 The Mercruiser 5.7 liter with the Bravo 3 drive will push this boat effortlessly through the water. The boat comes with a Lowrance Elite 5 fish-finder, compass, Lowrance FF, Standard VHF radio and a stereo.In the cabin is a small sink and an area to lie down in. The porta-poti is off to the side to make it easier to access it.A great boat to enjoy the water on and priced to get you out on the water. 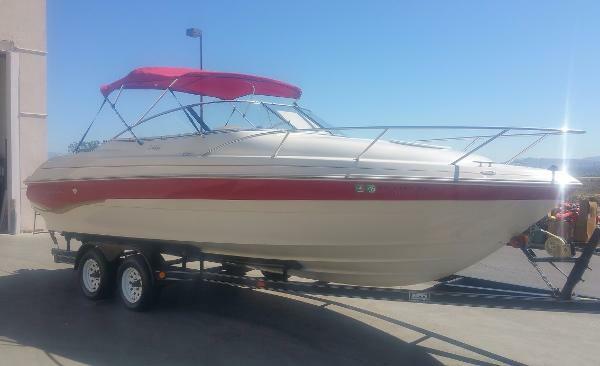 1998 Monterey 236 Montura Big roomy Monterey 236 bow rider. Great boat for the big water and big fun. You will not get beat to a pulp in this boat on the busy weekends. Lots of room and high sides for great protection on the busy days. This boat has the Dino Package. She is blue and white and in good shape for her age. 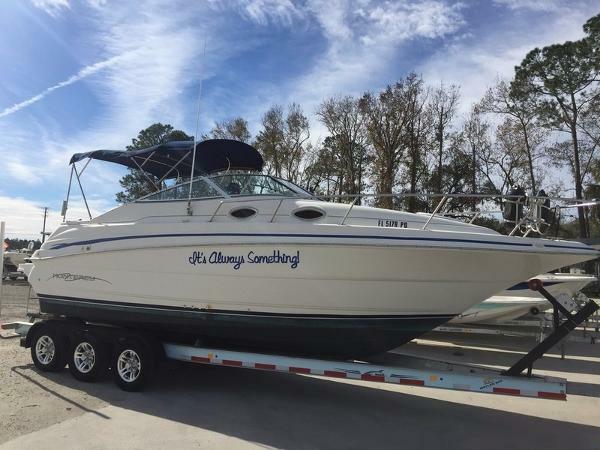 It has the 5.7 V 8, MTI trailer, bimini top, table with cup holders, room for a porti potty (not included), 2 in floor storage areas, anchor locker, stereo, swim platform with boarding ladder and a large sunpad. All she needs is a new family. 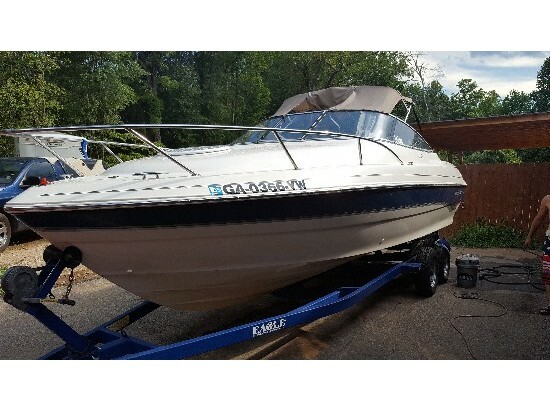 1998 Monterey 236 Montura This Is A 1998 Monterey 236 Montura, Cuddy Cabin ,Equipped With A Volvo 5.7 GS DP, I/O, 250Hp. Includes Garmin MAO 498 GPS-Fixed Mount, Map GPS, Compass, Tilt Wheel, Depth Sounder, 3-Blade SS Dual Prop, Trim Indicator, Bimini Top, Cockpit Cover, Porta Potti, And Swim Step With Fold Down Ladder. Seats 13, Driver Captain Seat, Back To Back Seating With Rear Bench, V-Berth, With Sink. 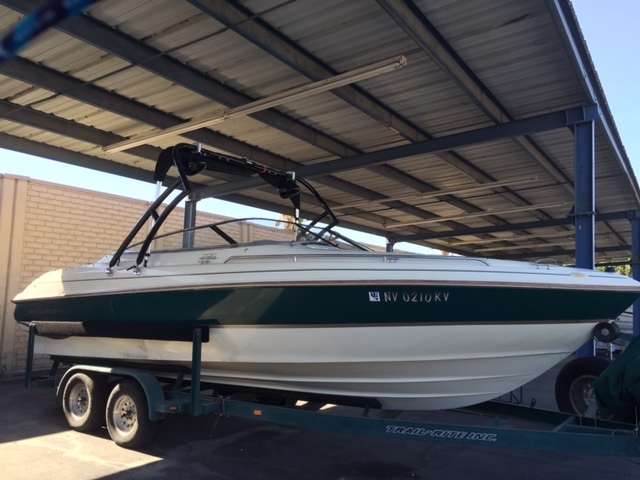 Trailer Is A 1998 MTI Marine Trailers Inc. Painted Black, Tandem Axle With Surge Brakes. Trades Welcome. Come On In To Make A Deal! WAS Priced At $17,500 WITH THE EXTRA 10% DISCOUNT IT IS NOW ONLY $15,750!! HURRY IN BEFORE THIS DEAL ENDS!! 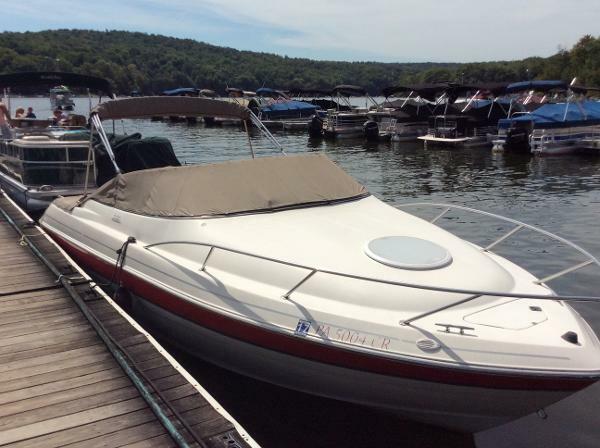 1997 Monterey Montura 236 Montura BR, This is a rare "Dino Limited Edition of the Montura 236 BR. Powered by a 330 hp Volvo Penta 7.4GL. This edition includes a Mahogany Steering Wheel, Burl Dash, Wiper, Tilt Steering, compass and depth finder. This boat is also equipped with a Wakeboard Tower and tower speakers. This is a must see boat! Bimini top and boat cover included.